​At the event, can participate bikers 19 and over, competitive and amateur categories registered to the FCI, a cycling federation associated with the UCI or an Italian cycling organization recognized by the National Cycling Council. The bikers of the Juniores and Juniores Sport categories (17 years) can participate exclusively in the Classic and Short routes . Non-licensed bikers and those riding an E-Bike (need to have a medical certificate of healthy and robust constitution) can participate exclusively in the Short course. There are three routes: "Epic" of distance of 107Km with difference in level of 3200m D+, “Classic” of distance of 52Km with difference in level of 1600m D+, and “Short” of distance of 27Km with difference in level of 1000m D+. The description of the routes is published on the official website of the event. Competitors must wear a regular helmet and need to have an efficient and suitable vehicle (mountain bike) and follow the tracks proposed by the organization. In case of cuts or off course from the tracks the participant will be disqualified. The transition from intermediate points is mandatory. The choice of the route must be made at the time of registration. Any changes to the selected route can be made until Thursday 16th 2018 by 13:00. The variation of the route during the assignment of the race numbers will not be allowed. Athletes who decide to join the Epic Twin Race will compete exclusively on the Epic distance of 107km and difference in level of 3200m D+ course. The athletes of the regularly registered amateur categories can take part in the competition. Couples can be mixed: man / man, man / woman, woman / woman and also belong to different teams. The category of membership will not be taken into consideration. In the spirit of the team game they will have to walk the race track no more than 30'' (thirty seconds) from each other and will have to pass under the finish line in pairs, OTHERWISE THEY WILL BE DISQUALIFIED. Checkpoints will be set up along the route. The refusal to participate as a couple, in favor of the single race, will involve the obligation for the athletes to integrate the participation fee, up to the competition of the current fare. The maximum number of participants is set at 1000. Once this number has been reached, registrations will be closed in advance. All the shares Standard and Cycle Hikers fees include the race pack, a pasta party voucher, refreshments and good foods along the routes and 1 refreshments and foods on arrival, health care, bike wash, showers. Quotes Premium includes, in addition to the services mentioned above, the Technical Shirt celebrating the 2018 event. Carers and friends can buy the coupon for the pasta party for € 5.00. Anyone without a coupon will not be able to access the pasta party service organized in the arrival area. To all the quotas must be added the cost of renting the chip equal to € 3.00, to be paid on the spot at the time of package pickup and race numbers. The chip will be returned at the end of the race. The registration and payment of the fee during the days of 18th and 19th of August will be absolutely forbidden. The athletes of the competitive categories (Open M and F and Junior M and F) will participate, free of charge as from FCI regulations, taking advantage of the race services, except for the pasta party and the race pack, which can be requested on site with a fee of € 15.00. 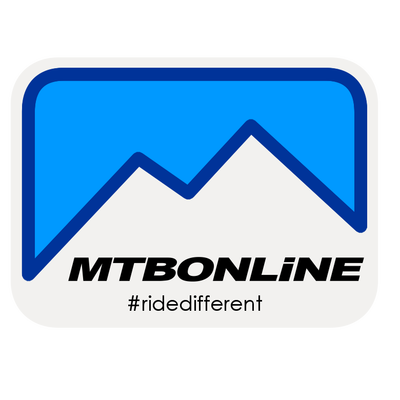 Pre-registration must be made by accessing the dedicated page on web site mtbonline.it. Reason: specify the name (s) surname (s) of the athletes for whom the fee was paid. ATTENTION: in addition to the registration with the methods specified above, the FCI members must also register through the Federal Factor K computer system ( http://fci.ksport.kgroup.eu/Fci ) through the sports club they belong to. N.B. The registrations made only through Factor K are not valid, as they are not valid, for FCI members, those not perfected also through Factor K.
The cancellation of the participation will be considered valid only if communicated via email at info@silaepic.com by 05/08/2018. In this case the registration fee will be considered valid for the 2019 edition. Cancellations will not be accepted after the 05/08/2018 date. The refund of the registration fee will not be carried out under any circumstances. If a member is unable to attend the 2018 edition, the participation fee will not be reimbursed. The shipment of the race pack is not foreseen. It will be possible to withdraw, or to withdraw to another participant (upon request by email), the race package during the distribution hours but, in this case, the automatic registration for the 2019 edition will be canceled. In the event that the participant unable to participate in the next edition, the fee will be considered lost and will not be reimbursed. The timing system will be carried out with an electronic system and technology based on the use of chips placed near the race number. ​Grid 5. Short Course - numbering from 1001. Hikers with or without E Bike, with different departure. The awards will take place in the cable car square, where the event will take place. The timetable will be indicated at the location of the preliminary operations and on the website of the event. Any technical breakage of the vehicle must be repaired off the race track independently or, in the case, by contacting authorized technical points. Assistance from private vehicles following the race is strictly forbidden under penalty of disqualification of the participant. Public roads affected by the demonstrations will be open to traffic! In these sections are worth the rules dictated by the street code! The event will take place in the presence of any weather condition that does not affect the safety and health of the participants, and can be interrupted at the discretion of the organizer. If, due to force majeure, the event does not take place, the fee paid will not be reimbursed or transferred to the following year. All the details will be announced on the internet or on site during the race.  The Mountain Bike Amateur Sports Association Sila declines all responsibility for itself and its collaborators, for accidents or damage to persons or property, which may occur before, during and after the event or as a result of it. Participation takes place at your own risk. The company reserves the right to refuse, until the moment of departure, runners or Sports Groups that with their own deeds or statements demonstrate to fail the most basic rules of good education and respect for our members involved in the organization.